Thanks to Jason Bleibtreu for the following report, received with the photograph below. Big Smile, Big Fish. 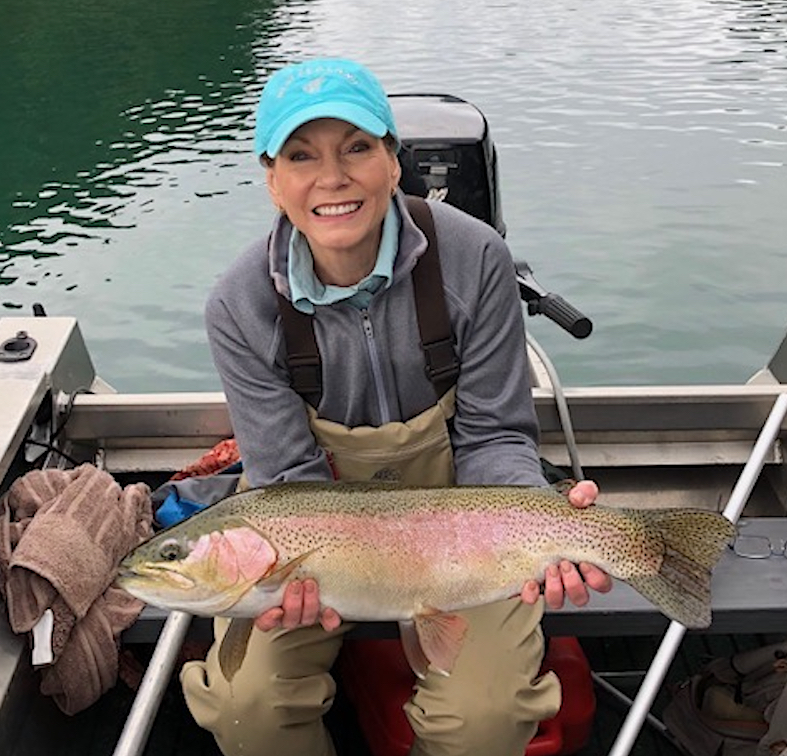 River Birches guest Debbie Hurt shows off a 10.5lbs rainbow hen she caught & released Sunday morning. Debbie and husband Steve Hurt who are both from Lubbock, Texas were guided by Graham Dean. Debbie and Steve caught and released several rainbows near Turangi and are looking forward to continuing fishing the next couple of days. Checkout is temporarily closed at superfly.co.nz, with 513 trout fly patterns, tied on Mustad, Kamasan, and Tiemco hooks.